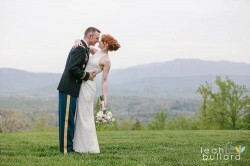 Choose from the list below to find an Inn providing wedding services in Tennessee. Many of our members inn offer weddings and some even have chapels on site. 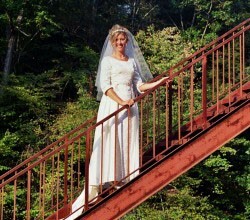 Think of the possibilities of having your wedding at a really terrific Tennessee bed and breakfast! Nestled among streams, towering bluffs & an Eastern Hemlock forest, our forty-acre property boasts a mountain appeal - and beautiful backdrops for outdoor ceremonies. Our historic Main Lodge provides warm spaces for receptions. Our bluff view rooms are perfect for wedding guests. Scrumptious cuisine is prepared by our chefs with just the right touch and is served in just the right setting. 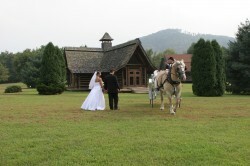 Whitestone Country Inn is the premier site for weddings in East Tennessee. Our 200 seat chapel and adjacent banquet hall overlooks Watts Bar Lake with expansive views back to islands and mountains. Whitestone has hosted over 1,000 weddings and offers all-inclusive services to simplify the most important event of your life. Voted one of the 10 most romantic inns in America. From private elopements to celebrations with family and friends, we offer wedding planning that will delight you. 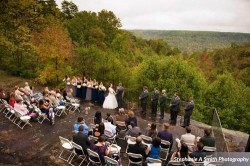 Our on site wedding chapel seats up to 80, no limit if outdoors. Privacy and relaxed beauty for idyllic country weddings. Photography, harp music or a band, ordained minister...let us handle your details, come and enjoy! Honeymoon packages for the bride and groom. The elegant, casual setting of our inn is perfect for intimate Smoky Mountain weddings. We host events of up to 20 wedding guests indoors or up to 125 on the front lawn with the spectacular Smoky Mountains as your backdrop. If you are looking for the perfect place for a Smoky Mountain or Gatlinburg wedding, we have the perfect wedding packages to make your special day an unforgettable experience.